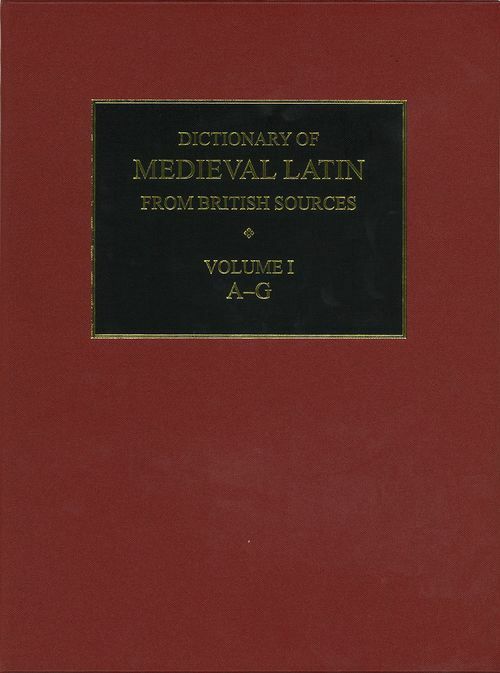 Based entirely on original research, the Dictionary of Medieval Latin from British Sourcesis the most comprehensive dictionary of Medieval Latin to have been produced and the first ever to focus on British Medieval Latin. It is a definitive survey of the vocabulary of one of the most important languages in British and European history. This new edition, bound for the first time as a convenient three-volume set, incorporates a small number of amendments and additions into the text originally published as a series of fascicules between 1975 and 2013. The DMLBS is the key lexical reference work for anyone reading Medieval Latin texts produced in Britain or by British authors. The period covered extends from the 6th to the 16th century. The Dictionary sets out clearly for each of more than 56,000 words the full range of meanings found in the medieval period and the kinds of linguistic contexts and works in which they appear, highlighting possible alternative meanings and allusions. Contemporary example quotations illustrate each usage. The full range of attested variant spellings of words is recorded and helpful cross-references are provided, making the Dictionary a particularly valuable tool for researchers working on Medieval Latin manuscript sources of all kinds and on documentary sources in particular. Richard Ashdowne studied Classics and then Linguistics at New College, Oxford. After a brief spell teaching Latin, Greek and linguistics in Oxford, he became an assistant editor of the Dictionary of Medieval Latin from British Sources in 2008 and subsequently its final editor in 2011, seeing the Dictionary through to its completion in 2013. Since 2014 he has returned to teaching Latin, Greek, and linguistics in Oxford. Besides the final fascicules of the DMLBS he is the author of articles and chapters on linguistic and lexicographical topics and, with James Morwood, of Writing Latin (2007). David Howlett graduated in 1966 with high honours in Classics from the University of Montana before coming on a Rhodes Scholarship to Corpus Christi College, Oxford. There he pursued English and Medieval studies before becoming, in 1975, an Assistant Editor of the Supplement to the Oxford English Dictionary at Oxford University Press. From 1979, he was Editor of the Dictionary of Medieval Latin from British Sources, Consultant to the Royal Irish Academy's Dictionary of Medieval Latin from Celtic Sources, and a member of the committee responsible for the Novum Glossarium Mediae Latinitatis at the Institut de France. Ronald Latham was the first Editor of the Dictionary of Medieval Latin from British Sources. Educated at Royal Grammar School Newcastle and having read Literae Humaniores (Classics) at Balliol College, Oxford, he had a long career in the Public Record Office, where he first became involved in the Dictionary project. He began work as DMLBSeditor in 1968 and had largely prepared the text of first three fascicules before his retirement at the end of 1977, when he was succeeded by David Howlett. In retirement, he continued to provide invaluable support to the project. In addition to his Dictionarypublications, he also published a number of other books including, In Quest of Civilization(1946), and translations for Penguin Classics of Lucretius and Marco Polo. He died in 1992.